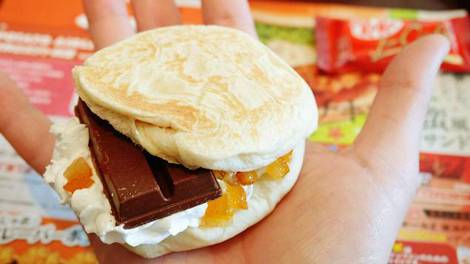 Japan boasts a strong tradition of insane fast-food concepts, and it also deeply loves Kit Kat bars. 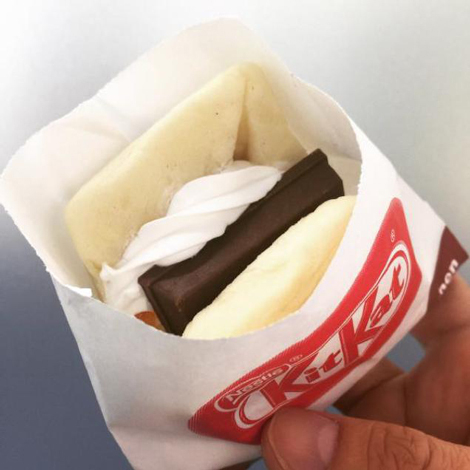 Which makes the new Kit Kat dessert sandwich mash-up as unsurprising as it is awesome. 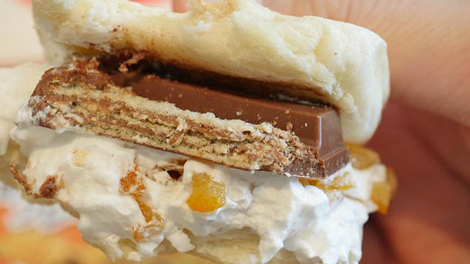 Available for a limited time only at First Kitchen, the sweet treat combines the chocolate candy with whipped cream and orange peel, and squishes it between two slices of white bread (judging by the photos, we’re hoping it’s the doughy, sweet kind). Bonus: the creators were smart enough to use the extra crunchy “Kit Kat for Cafe” specialty bars, which are specifically designed to be dipped in hot beverages. According to Kotaku, people on Twitter “are saying the sandwich tastes better than expected.” Shame on all you haters.